The BF has recently introduced me to champagne and other sparkling wines, and to say I'm in love is a total understatement. I can't get enough of it! So the idea of a champagne fountain like this one definitely has appeal! 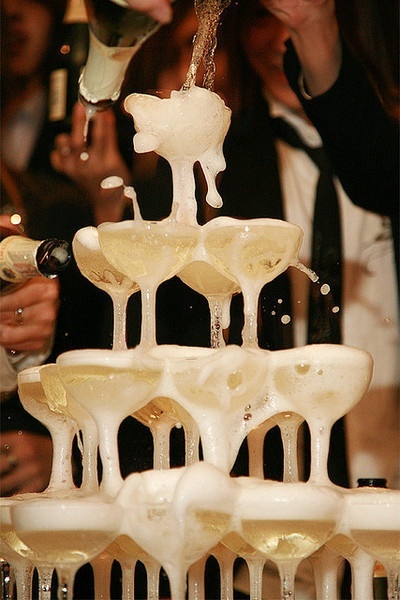 Would you like a champagne fountain at your reception? 2012.11.05 | Custom Wedding Garters!